WARRUG.COM! 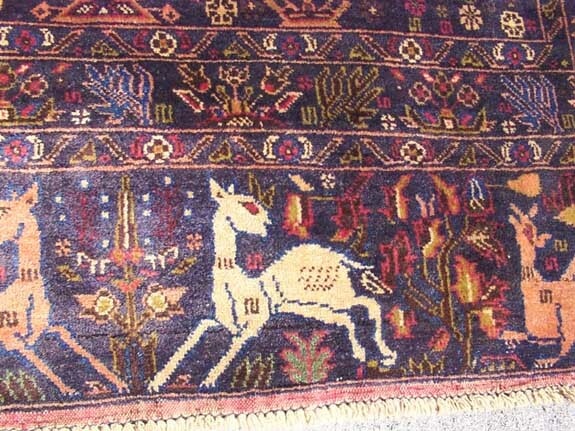 Design Forms in Afghan War Rugs : Medallions, Borders, etc. Pile skirts are uncommon in Baluchi rugs. This one is a real beauty both in terms of design and quality. This is unusual, the border is a very narrow, single stripe surrounding the field, with a skirt on top and bottom. The skirt is, oddly, a traditional border design.